JustRunLah! 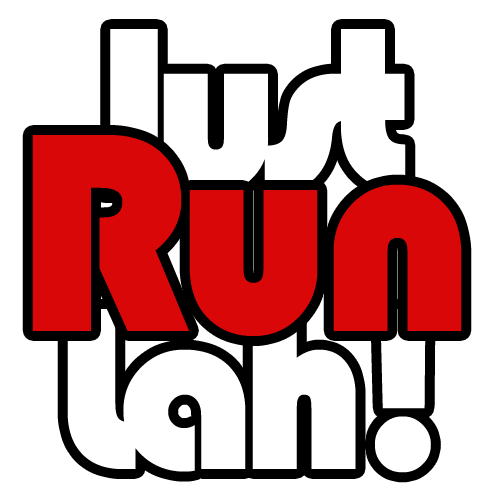 Best of 2014: Part III | JustRunLah! For our selection process, please refer to our introduction article on the series, Special Edition: JustRunLah! Best of 2014. The most used race apparel is Brooks, which was worn by participants in approximately 15 different races in Singapore all year round. These races include the Vertical Marathon, NTUC Income Run 350, SAFRA Singapore Bay Run & Army Half Marathon. 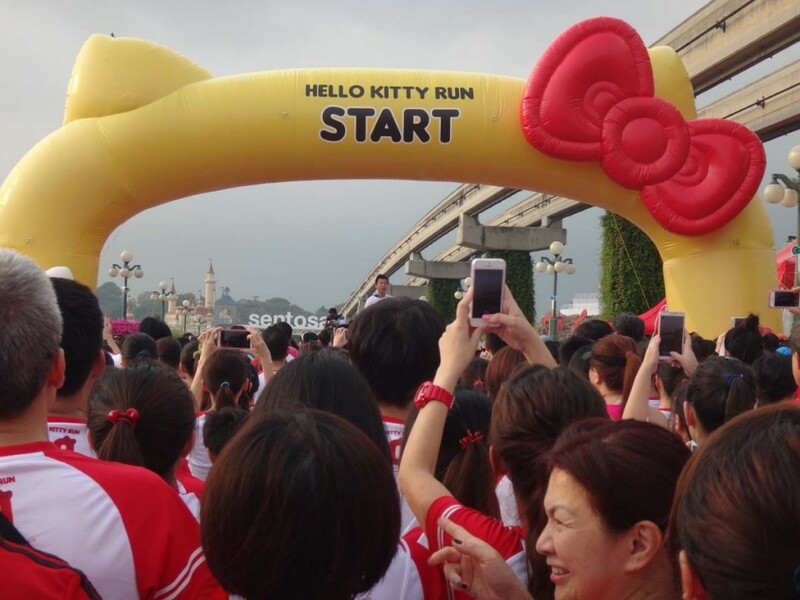 A supposedly family-fun Hello Kitty Run to celebrate the 40th birthday of the world famous feline character, Hello Kitty, turned out to be a disappointment for many and outrage for some on November 1, at Sentosa Island. The main reasons for the unhappiness among runners were of the lack of, or inadequate wet weather planning by the race committee, as well as the medal snatching incident by runners who took more than what they deserved. Downpours are unpredictable in any race event and being a family-friendly race, safety and proper shelter for the young ones are particularly important. However, the participants found themselves drenched and lost in the process of seeking temporary shelters from the rain. Most runners also responded that the original 5 km run had been “shortened” to 3 km instead, and received no proper explanation from the race committee regarding the modification. Evidently, there seemed to be some miscommunication between the committee and runners because the modification to the race distance might be executed by the committee in consideration of safety or logistics issues, and their concerns had not been relayed to the participants effectively. Perhaps pre-race logistics and alternative race execution plans could have been done in more detail by the committee prior to the race, as well as providing an effective communication system possibly via SMS text messaging to inform participants with live updates about the race proceedings in case of bad weather conditions. As one event led to another, the sudden influx of runners seeking shelter from the rain at the medal redemption venue resulted in a chaotic situation where queues were disrupted and congestion occurred. Participants felt that the organizer could have implemented better crowd control and verification procedures to ensure fair distribution of the limited edition Hello Kitty medals, instead of simply using their race bibs as proof which inevitably led to some participants redeeming more than one medal per bib. The chaotic situation worsened when news about shortage of medals were made known to the anxious participants. In addition, there were reported news of people selling their extra medals on online trading sites, leading to the outrage of many. The Hello Kitty Run organisers have tried their best in salvaging the situation by posting an apology note on Facebook and offering an alternative medal collection date for runners who failed to receive them on the race day. All in all, there are many lessons to be learnt from this race for both the race organizer and participants. While more could have been done by the event committee regarding better management of wet weather conditions and medal dissemination, the ungracious and self-centered behavior of some participants were unexpected and definitely not in the control of the organisers. The race that brought the most smiles to runners of 2014 was the Newton Challenge (32km, 18km) held on October 26th, at the East Coast Park. The flat race course and clear skies provided the perfect platform for runners to perform at their best and the well-organised race made it a run to remember. The paid shuttle bus services to numerous MRT stations situated in different parts of Singapore from the race venue gave the exhausted runners great convenience to head home. In addition, participants were extremely satisfied with the hydration resources at every water station – Pocari Sweat and water was kept ice cold and sufficient for all the participants. The welfare for runners did not end there as there were a great variety of food and beverages awaiting for the participants at the finishing line. A race that is so-called ‘happy’ is probably one where runners are satisfied with what they have paid for, what they had experienced and most importantly, the sense of achievement and celebration of fitness with different people as the main takeaways from the race. This race did just that and it needed no fancy runners’ entitlement or race day activities to render it a race worth going back again. great shout on the Newton. I agree, top race. I would have had this year’s Green Corridor level in first place, because despite the rain (in direct contrast to your least happy run) everyone had a blast and the rain seemed to add to the fun – but I can’t argue with Newton! Enjoyed Newton run 18km in 2014.. Will be back to run 32km this year!